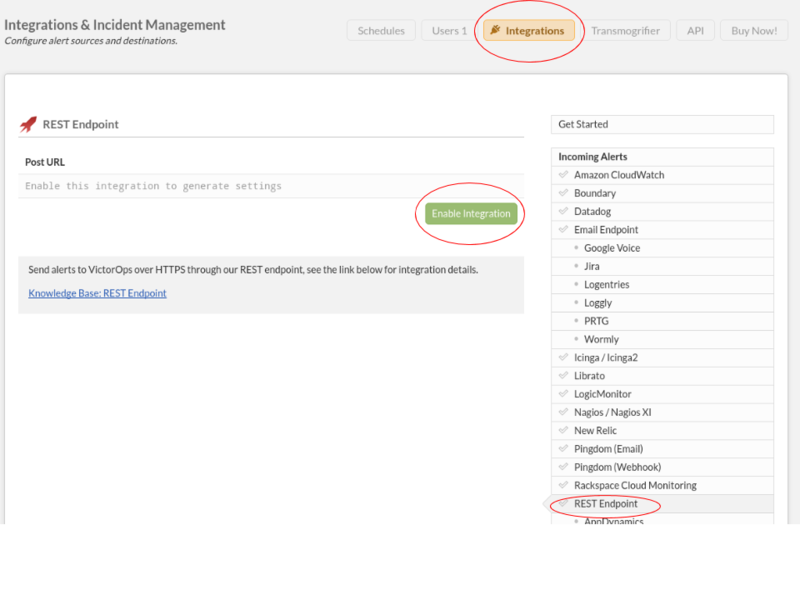 This guide goes through the steps necessary to integrate Backtrace with VictorOps. 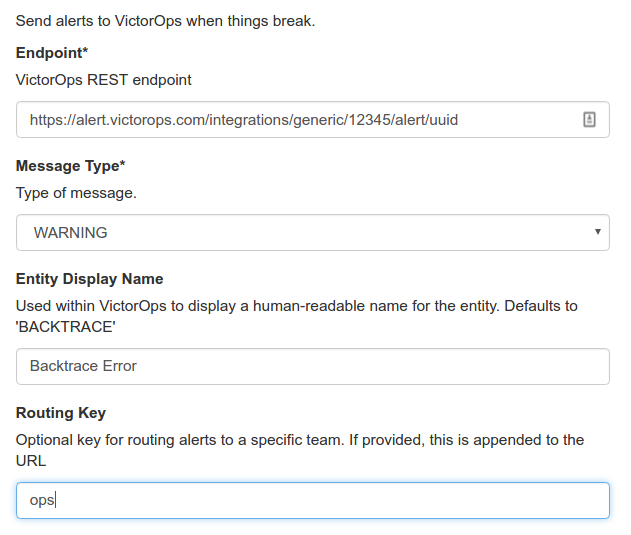 Setting up integration with the VictorOps incident management system requires a valid VictorOps REST Endpoint for sending alerts. 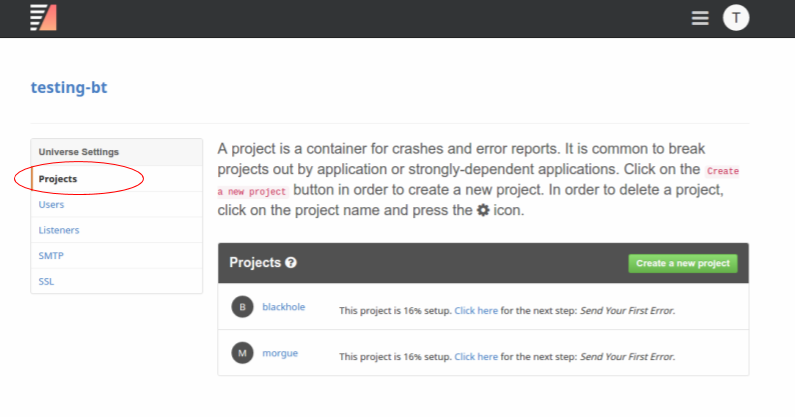 Within VictorOps, click settings on the upper-left, then Integrations on the navbar at the top. 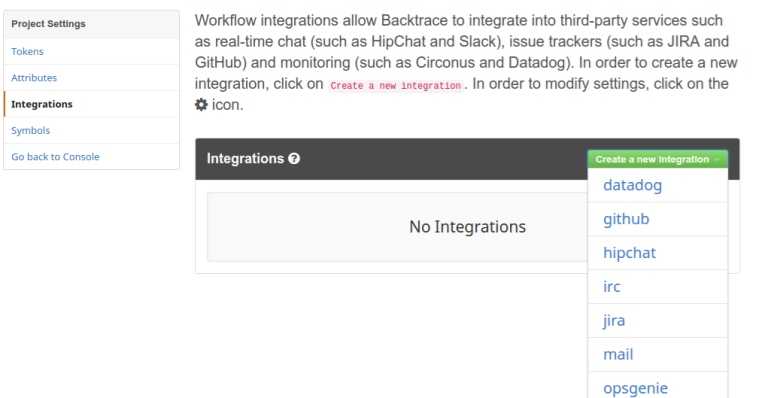 In the incoming alerts section on the right, click on REST Endpoint, then on the green "Enable Integration" button. 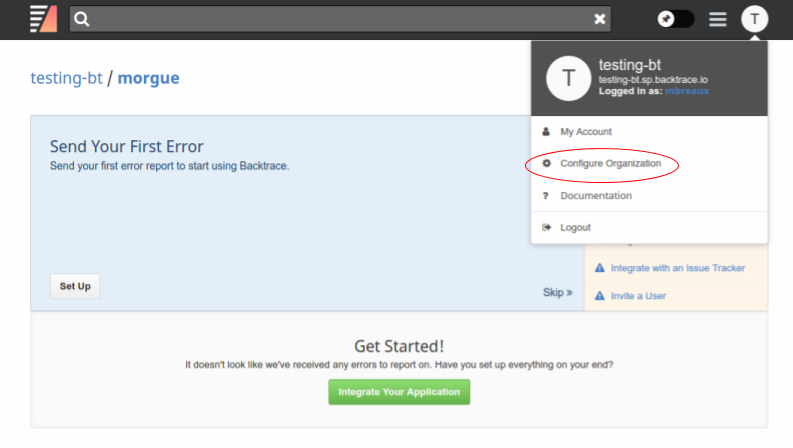 Once this is done, you'll use the Post URL that appears as the url in the Coronerd Configuration below.